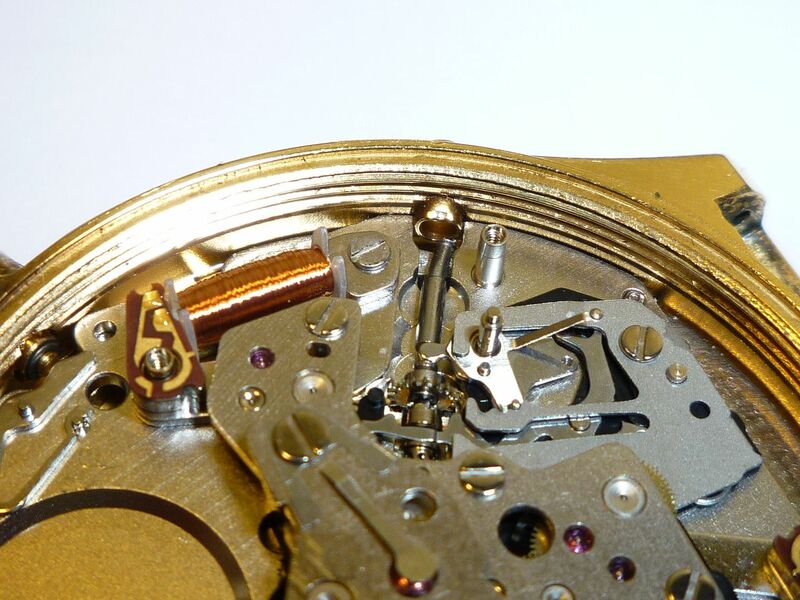 Subtitled: How not to release / remove a crown stem from a 7A38. I bought a gold-tone 7A38-7190 on a whim and a something of fuzzy photo gamble last week. I didn't expect to win the auction, quite honestly. My maximum snipe bid was actually £29.67. Man Seiko quartz chronograph wrist watch in good condition for age it has one button cap missing other than that works fine any questions please message model number is 7a38-7190. It arrived this morning. 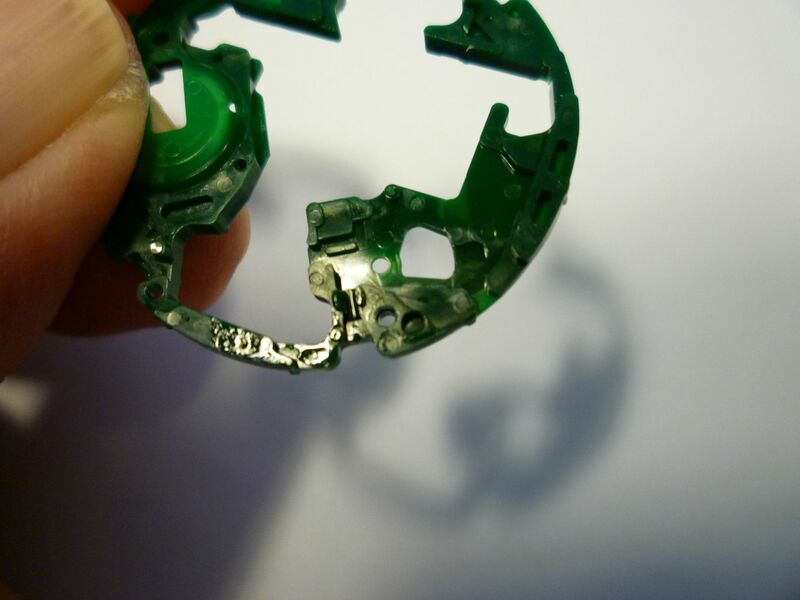 As I'd guessed from the seller's photos (have a look for yourself), the plating was in surprisingly good condition, apart from some tarnishing around the pushers .... and of course the crown was missing. 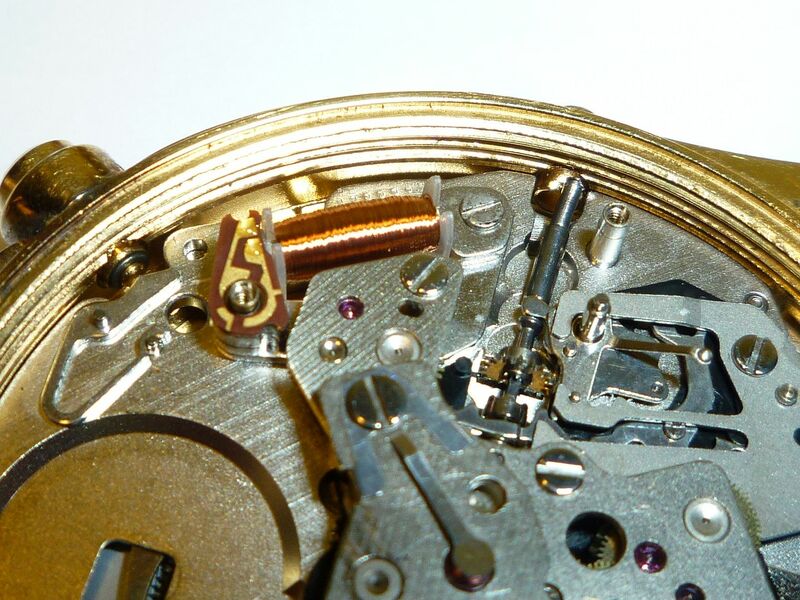 But the stem had been broken off short - too short to get a pair of needle-nose pliers on it, even with the movement out of the case. Incidentally, the area of which corresponding to the stem was covered in gloop. A drop of 3-in-one oil to help free it up perhaps ? Not only was the stem bent out of alignment with the crown tube, but the botcher who'd had a go at it even managed to ding the tube ! ..... It becomes apparent how the crown tube acquired those dings. 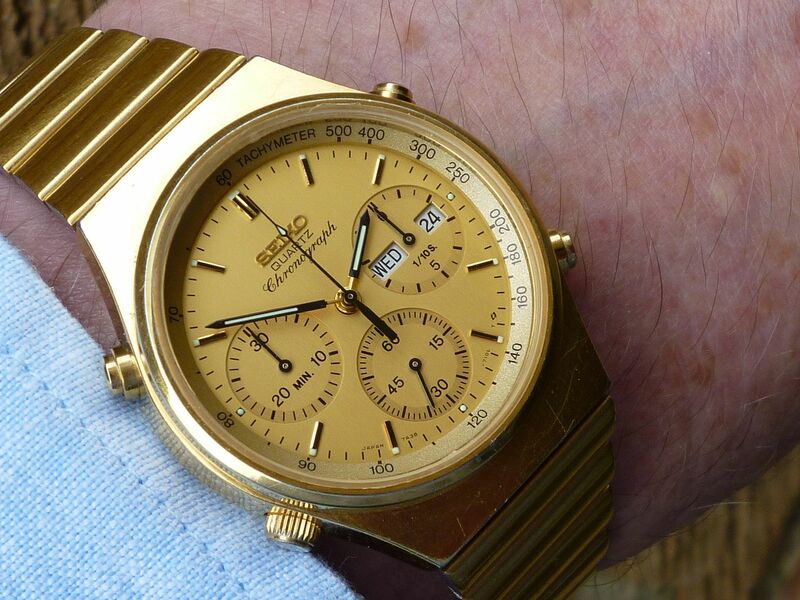 Whoever had a go at it obviously had the movement out of the case (check the misaligned Tachymeter ring in the seller's photos). The botched badly bent stem at bottom right. I was hoping to have got this 7A38-7190 back together yesterday afternoon, but other circumstances conspired against me. So I had to leave the final re-assembly till this morning. Although a stem would still just fit through the crown tube, as you can see from the above photo, the extreme inner end of it was quite badly distorted. I found a 1.3mm drill blank, which was almost a perfect fit, pushed that through from the outside then carefully worked it back to shape. I had a couple of NOS Seiko p/n 45M74NA1 crowns in my spares stock, but found another somewhat less worn used one, which seemed more in keeping with the overall used condition of the watch. You beat me on that one. Very nice restoration, I thought it had potential but I am known as a tight bugger. You mean you were the losing bidder who only bid £28.50 ? Serves you right for being such a cheapskate, then Phil. 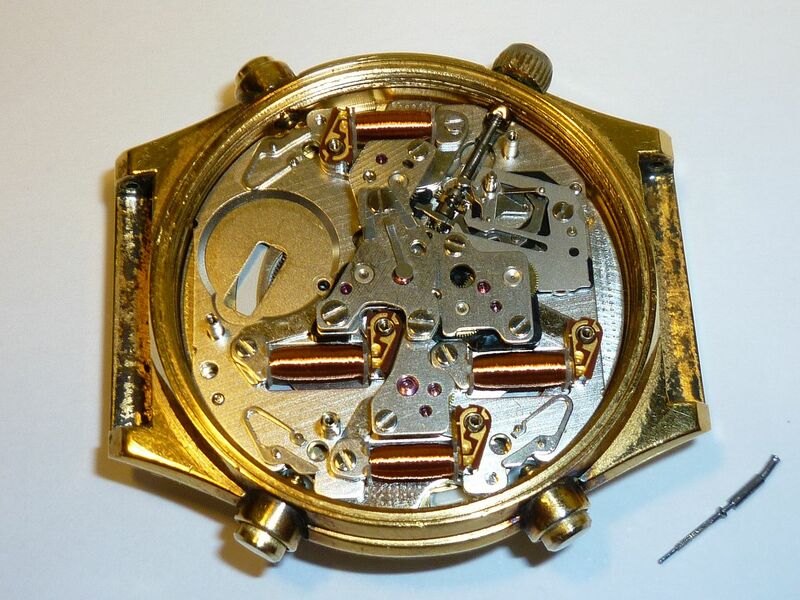 In fact, I only bid with a view to using it as a potential 7A38 movement donor, but it seems a bit of a shame to break it up now. No I tell a lie I have just checked my didn't wins (there are a lot ) I was an even cheaper skate at £27.